Dr. David O. Belcher’s incredible legacy will live on in the hearts and minds of thousands whose lives were changed by knowing him. We invite you to share your memories and condolences here but also to honor Dr. Belcher’s life and work by continuing to tell the incredible story of how education changes lives. Your reflections will be shared with Susan Belcher and, with your permission, may be posted on our site as we remember Dr. Belcher’s life and work. Send your own message and view the shared messages and memories. I give Western Carolina University permission to share my message on this website. 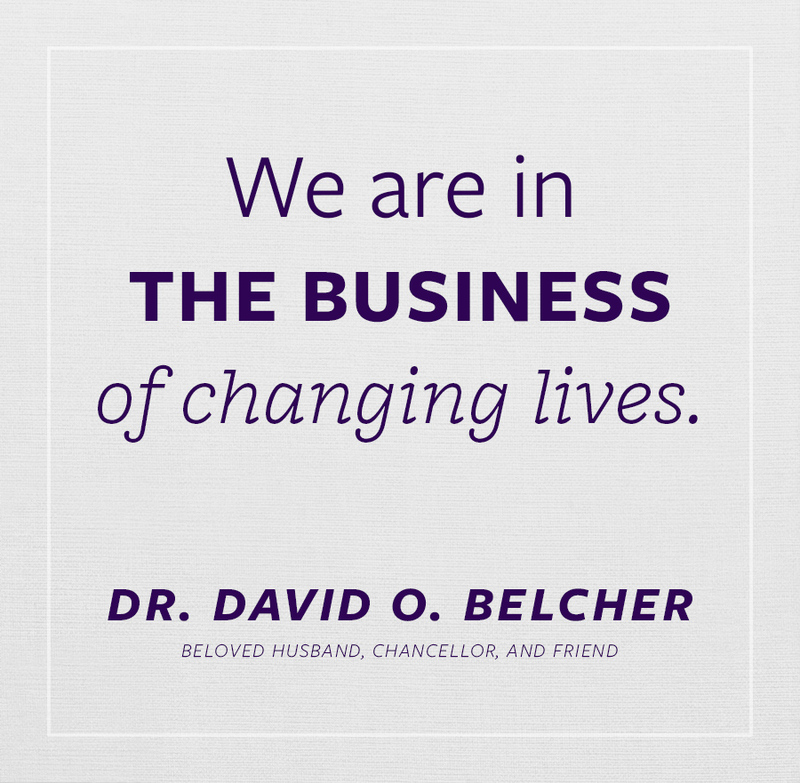 Dr. Belcher was known for being a tireless champion of the power of higher education. During his tenure as Chancellor at Western Carolina University, he coined one phrase that anyone who knew him will remember forever. We invite you to share this signature statement in his honor on your social media channels. Tag your posts and photos with #belovedbelcher.